1.) Discuss why understanding that nociception does not guarantee pain is important for both clinicians and patients to understand and treat pain. 2.) Describe how nociception, in the absence of pain, is valuable in assessing and prescribing mobility and movement interventions. 3.) Summarize two changes you can make in your current practice to more effectively educate patients on pain and improve their participation in skilled therapy. 4.) Compare and contrast movement/exercise from a biomedical perspective and a biopsychosocial perspective using current research related to neuromuscular control and coordination. 5.) Describe how a biopsychosocial informed approach to movement and manual therapy can be integrated into existing practice. 6.) Summarize two changes you can make in your current practice related to therapy to more effectively educate patients on pain and mobility, while simultaneously increasing self-efficacy and reducing dependency on passive interventions. 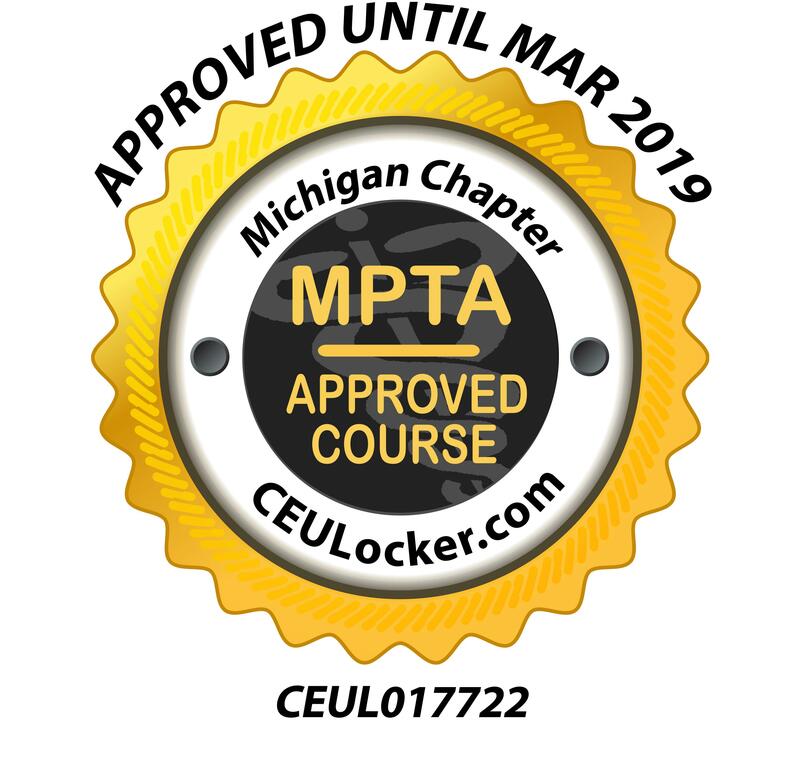 This course has been approved by The Michigan Physical Therapy Association for Physical Therapists and Physical Therapy Assistants for 15 CEUs and is eligible for PDR credit in the area of pain and symptom management for Michigan Physical Therapy Licensure. Dynamic Principles, LLC (BOC AP#: P10134) is approved by the Board of Certification, Inc. to provide continuing education to Athletic Trainers. If you are interested in hosting a course in 2019, please use the contact form below for more information. Thank you!